One of the most prestigious and accomplished trial lawyers in the United States, Michael Louis Kelly brings a unique depth and breadth of experience to Kirtland & Packard, LLP. Mr. Kelly is AV Preeminent rated, which means he has earned the highest possible evaluation of his ethics and legal ability from the legal community, and retains an AVVO rating of “Superb” in five different personal injury and employment law categories. If you are looking for a top rated, trusted, highly respected, and remarkably effective personal injury attorney in the South Bay area, please call 310-536-1000 to schedule a complimentary case review with Attorney Kelly at our Redondo Beach office. Mr. Kelly graduated from Seattle University with his B.A. in 1975. In 1978, he received his Juris Doctorate from the University of Idaho where, from 1976-1977, he was a member of the Idaho Law Review. From 1977-1978 he sat on the Review’s Board of Editors and served as the Comments Editor during that time as well. In addition to his memberships in the California and Colorado State Bars, Michael Louis Kelly is a member of the South Bay Bar Association and a past member of the American Bar Association, the Los Angeles County Bar Association, The Los Angeles County Superior Court Settlement Programs, the Association of Trial Lawyers of America, and the Lawyer-Pilots Bar Association. 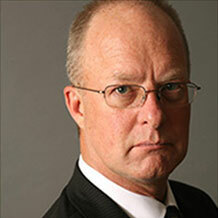 Mr. Kelly served as Vice Chairperson for the Committee on Aviation Litigation from 1990-1992 as well. Attorney Kelly is AV-Rated Preeminent by Martindale-Hubbell and has been listed as a Southern California Super Lawyer for several years running. A Leading 500 Plaintiff Lawyer, Mr. Kelly has also been the recipient of various litigation awards. Mr. Kelly is an award winning attorney because he works tirelessly for our clients and he is exceptional at what he does. Attentive, involved, and experienced, Mr. Kelly welcomes an opportunity to meet with you free of charge where he can help you determine the most effective way to get the justice you are due. Please call Kirtland & Packard at 310-536-1000 for a complimentary consultation with Attorney Kelly. Located in Redondo Beach, we welcome clients from all surrounding South Bay communities.